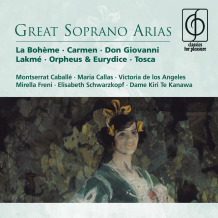 Carmen (1985 Remastered Version), Act I: Recit: "Quand je vous aimerai?" Habanera: "L'amour est un oiseau rebelle"
Rusalka, Op. 114, Act I: "Song to the Moon"